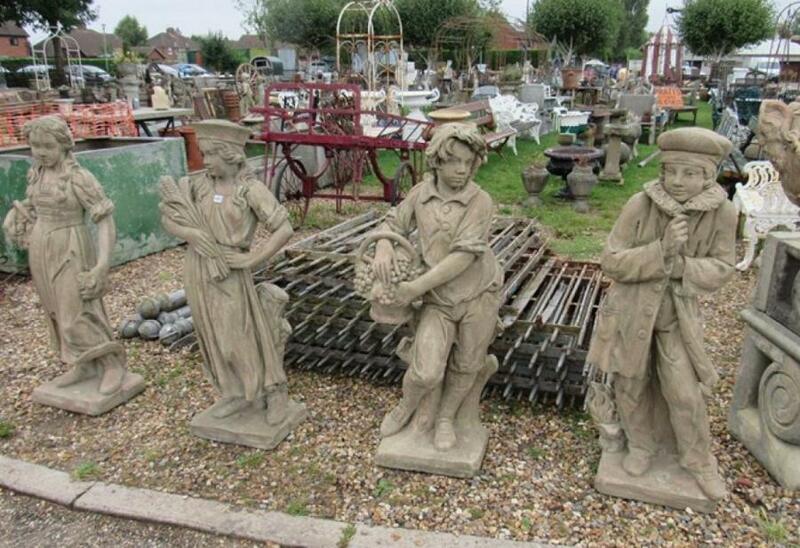 Norfolk, UK - Modern composition stone statuary and urns, and a 19th century tunnel of love, hit the high spots at the Diss auction rooms of TW Gaze on Saturday 9th September. The long wrought iron arched garden arbour harked back to 14th century Italian renaissance gardens which were the first to provide risqué secluded spots where lovers could triste unobserved. 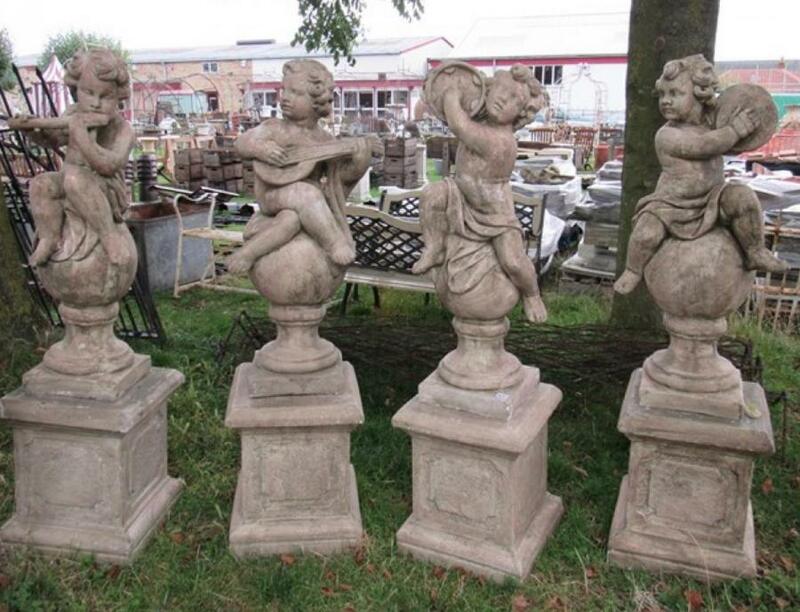 The tunnel at Gaze sold for £1,100 plus premium as joint top lot with a set of four composition musical cherubs on bases. A pair of reconstituted Italian marble urns with devil head detail on shaped plinths, 58ins high, made £850, while a set of four composition 'Four Seasons' figures in olden day worker style made £750. 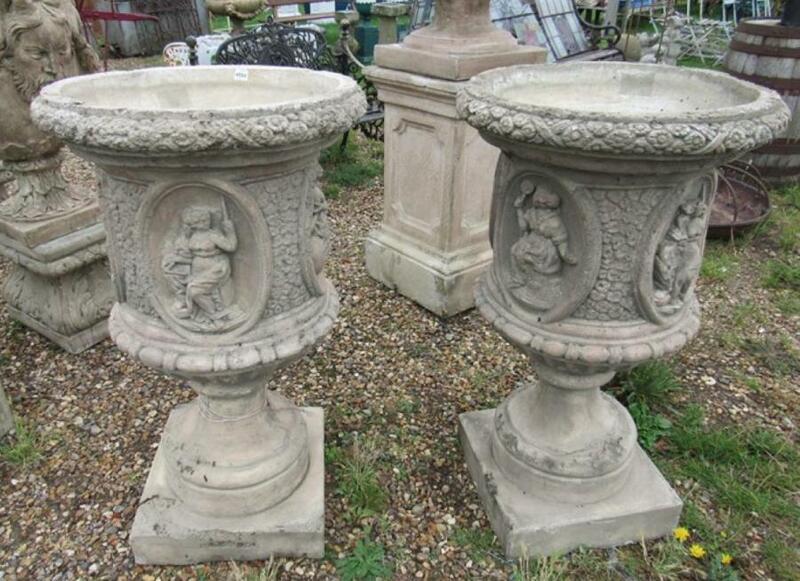 A pair of reconstituted Italian marble planters with figural roundels, 40ins high, in the South Kensington Italian renaissance style made £650. A variety of other items sold for lesser prices with the results available on Gaze's website. 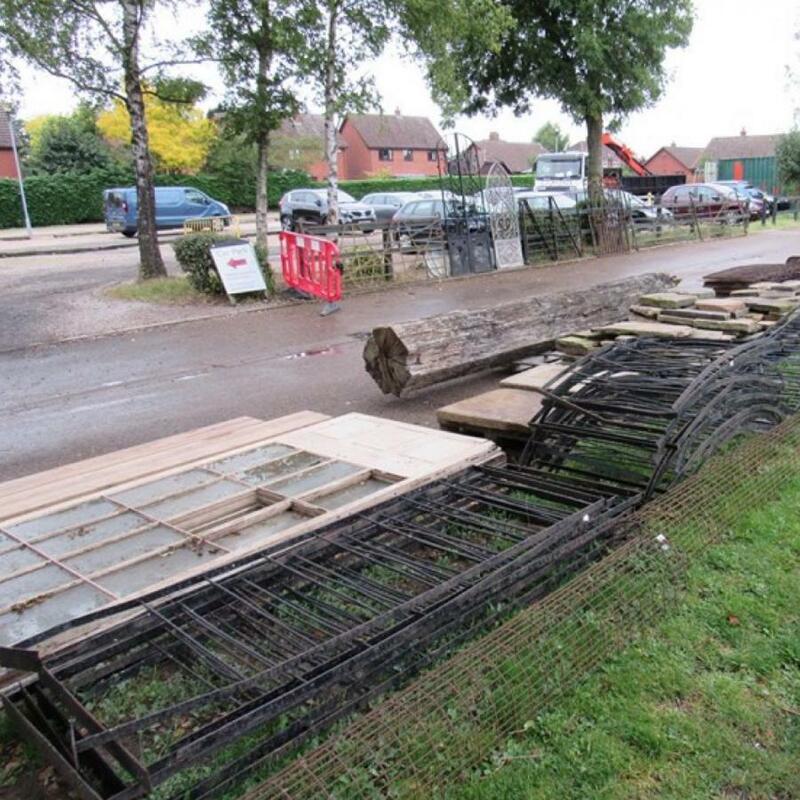 A rural and domestic bygones sale will be held at Diss on Saturday 9th October.